Amino AcidsTested Essentials Citrulline Malate - 240 kaps. Tested Essentials Citrulline Malate - 240 kaps. 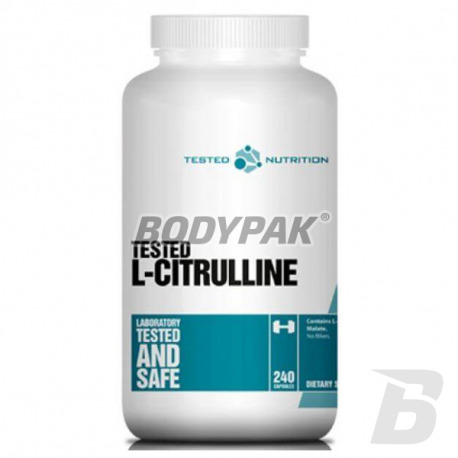 The preparation Tested L-Citrulline's Tested Nutrition helps increase muscle increases the muscle pump. Conditioner Tested L-Citrulline is a great source of bio-available L-citrulline, which promotes metabolism. It increases the ability to exercise the body and helps increase lean muscle mass. This supplement but in itself does not contain arginine helps to maintain its high level in the body. Therefore substantially increased vascularization muscles. This is an excellent preparation for those who want to increase the inflow of nutritive blood to the muscles. 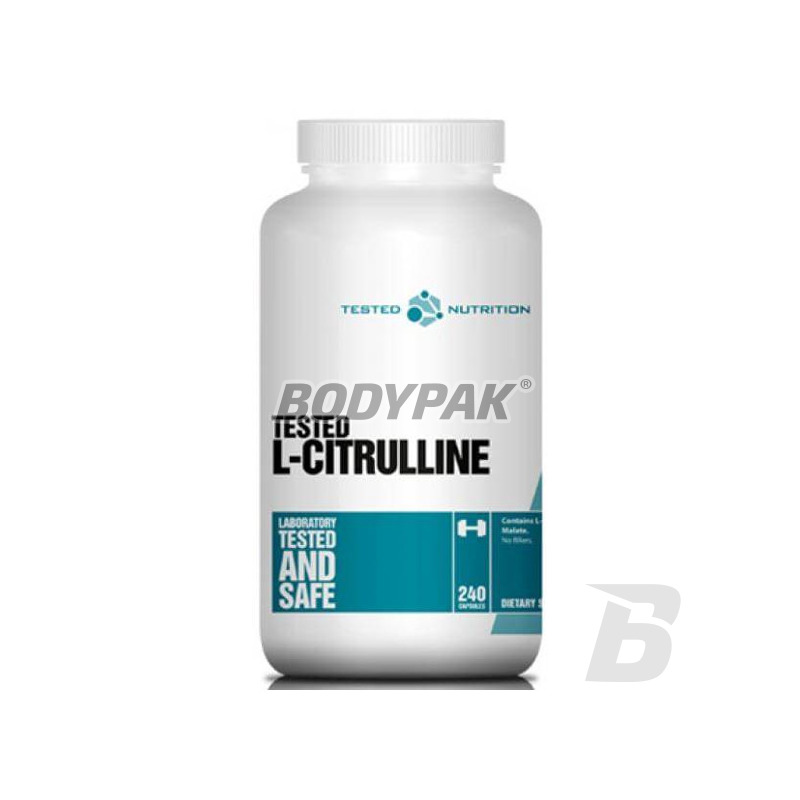 Tested L-Citrulline improves strength endurance and can be used in almost all sports.